The “Yakutian Hachiko”, whose loyalty to his dead mate hit the headlines earlier this month, still hasn’t come to terms with the death of his pal. 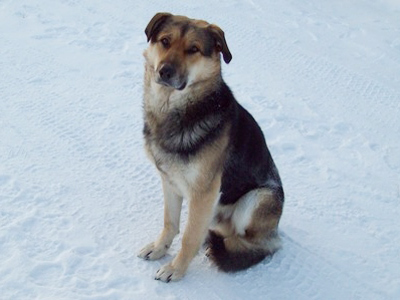 The hound has rejected a New Year gift of a warm kennel to protect him from Yakutia’s biting cold. ­A neighbour ordered a warm doghouse to be made for the faithful animal in a local workshop. The wooden kennel was even equipped with thermal insulation, but internet messages suggest the hound has shown no interest in the new home so far. The stray dog, whose outdoor life has inured him to low temperatures, seems to prefer staying in an old summer doghouse. But staff at a local animal charity have not given up hope of tempting the dog to move to his new place. The stray dog hit the news after he had remained on guard beside his dead pal for two weeks, even when the temperature dropped to -50 degrees Celsius. 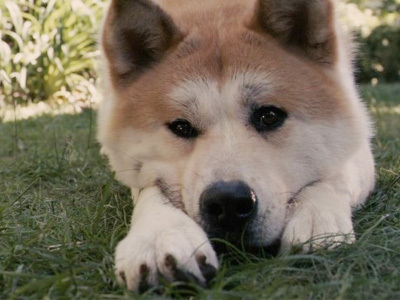 He earned the nickname "Yakutian Hachiko," after a Japanese dog remembered for his remarkable loyalty to his dead owner, waiting for him at a train station for seven years. The Yakutian story got a wide response after being posted online, with people flocking to bring the dog food and warm bedding. Fearing he might die of cold, animal-lovers even took him to a shelter until new owners could be found. But “Hachiko” broke free, pulling out a metal net barrier. Abandoning attempts to re-home the dog, the local internet community has broadened its appealed for help for the hound. Some people, however, have turned out to be less big-hearted than the four-legged hero. 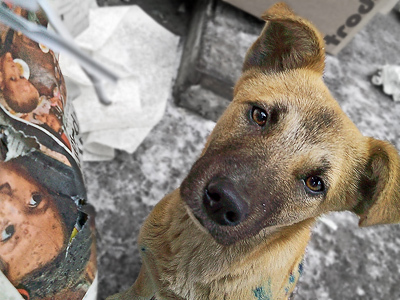 Animal-hating youngsters have posted numerous messages all over the Internet, calling for the Hachiko to be poisoned. Some time ago, the local animal charity got a letter from a German woman who wanted to take the dog. 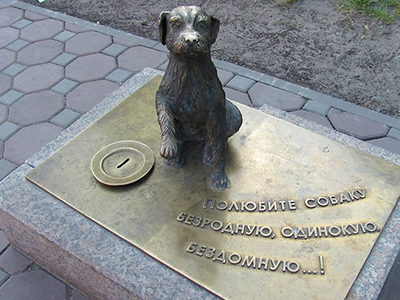 However, dog experts think that ”Hachiko” might not survive a long connecting flight from Yakutia to Moscow and then on to Germany. The “Yakutian Hachiko” story was later published in a newspaper in Japan’s Akita prefecture – the birthplace of his prototype Hachiko. The Yakutian animal charity got a letter from a Japanese correspondent saying the story had provoked a lively response in the area. Staff says a home for the loyal dog was offered there as well.